What is the science of evolution? - READY... SET... QUESTION! What is the science of evolution? There is only one reason to subscribe to evolution, and that reason is the belief that evolution is science. So, what is the science of evolution? I have heard arguments, read books, gone to lectures, watched documentaries, read blogs, read scientific journals and every notion of Darwinian thinking is based on its valid representation of science. If evolution is the way forward and worthy of subscribing to, then the science of evolution must be overwhelmingly true. So, what is evolution and what does science have to say about it? In my book What Is Evolution? I ask many questions, but the question of most importance is the title. For, no concise, legal, and scientifically agreed upon definition of biological evolution exists. Yet, it is a required subject and the federally funded Next Generation Science Standards do not offer a definition of evolution. With that said, neither does the California Department of Education, nor the Los Angeles Unified School District of which most states across the country follow California’s lead. For such a highly contested term to be touted as fact and required to be taught, it seems peculiarly unjust to leave biological evolution without a definition. Another good question has to do with why evolution remains undefined. Curious? 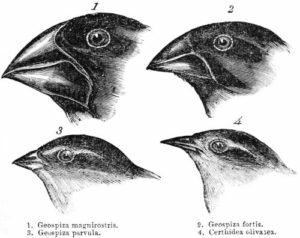 I have already addressed this issue in a previous post entitled: What is macroevolution? Well, the best definitions out there are drastically different, but the ones that include evolution’s “result” and “means” are the most accurate. The “result” of evolution is species, aka life’s biodiversity. Darwin became famous for authoring the book Origin of Species and explained how Natural Selection worked. He wanted to explain how all of the differing species originated and therefore started with species being the result and worked his way backward to the origin. The “means” of evolution has to do with how change takes place and the natural selection of genetic mutations fills the bill. The idea is that life’s biologically diverse species came to be via the accumulation of “survival-increasing” adaptations brought on by environmental pressures that selected certain organisms to pass along acquired genetic mutations. In essence, life under selective natural pressures produces extraordinary adaptations. These adaptations ad up over long spans of time to produce beautifully diverse species. This equation is at the core of understanding the science of evolution and is the basis for the Darwinian explanation of biodiversity. Yes, science does seem like a straight forward idea, but many so called scientists do not do science. The Proceedings of the National Academy of Sciences (PNAS) is a journal put out by the National Academy of Sciences and it describes science quite eloquently in the following article. PNAS continues to explain science by making it clear that once a hypothesis is ready for testing it must undergo four steps. “First, the hypothesis must be examined for internal consistency. A hypothesis that is self-contradictory or not logically well-formed in some other way should be rejected. “Second, the logical structure of the hypothesis must be examined to ascertain whether it has explanatory value, i.e., whether it makes the observed phenomena intelligible in some sense, whether it provides an understanding of why the phenomena do in fact occur as observed. A hypothesis that is purely tautological should be rejected because it has no explanatory value. A scientific hypothesis identifies the conditions, processes, or mechanisms that account for the phenomena it purports to explain. Thus, hypotheses establish general relationships between certain conditions and their consequences or between certain causes and their effects. For example, the motions of the planets around the Sun are explained as a consequence of gravity, and respiration as an effect of red blood cells that carry oxygen from the lungs to various parts of the body. “Third, a hypothesis must be examined for its consistency with hypotheses and theories commonly accepted in the particular field of science and to see whether it represents any advance with respect to well-established alternative hypotheses. Lack of consistency with other theories is not always ground for rejection of a hypothesis, although it will often be. Some of the greatest scientific advances occur precisely when it is shown that a widely-held and well-supported hypothesis is replaced by a new one that accounts for the same phenomena that were explained by the preexisting hypothesis, and other phenomena it could not account for. One example is the replacement of Newtonian mechanics by the theory of relativity, which rejects the conservation of matter and the simultaneity of events that occur at a distance, 2 fundamental tenets of Newton’s theory. PNAS has clearly shown that science is hugely dependent upon experimentation for it can verify a proposed hypothesis. Experimentation can verify a hypothesis. So, if the idea/hypothesis of evolution were to be scientifically tested via experimentation, how would it fare? In regard to “result” and “means”, what evolutionary experiments have been constructed and empirically followed through?Also, what predictions could reveal if the proposed hypothesis of evolution is able to be proven wrong? Karl Popper’s work is held in high regard among the scientific community and he concluded that true scientific experimentation can only take place if the experiment is designed to be falsifiable. Falsifiability is the idea that a hypothesis or a theory must be disprovable in order for it to be scientific. Popper was very clear in communicating that falsification is the validating factor of a theory’s scientific credibility. If a theory cannot be falsified then it is considered pseudoscience. Is it possible to prove the science of evolution to be wrong? What experiments have been created with the falsifiability of evolution in mind? Some evolutionary biologists have agreed that finding a fossil out of order could most definitely put Darwin’s theory in question, yet can this be considered an experiment? Is finding a fossil the same as setting up an experiment that would produce empirical data? In other words, if one were to find rock layers containing mammals that were below organisms from the Cambrian, what empirical data would be collected and could that data give the ability of the scientists to falsify the hypothesis? This idea has been covered in a previous post entitled: How is the Age of Rock Determined? Falsifiability is a grave problem for evolution and its means of applying age to a specimen further complicates this issue. Why do subscribers of Neo-Darwinian thought believe that following a chart compiled in the Victorian era and using index fossils is a good way to date fossils and rock layers? Is it logical to say that finding a mammal in Precambrian aged rock is a good way to falsify evolution? If subscribers of evolution believe that finding a mammal in Precambrian rocks seems like a valid statement of falsification, what about finding a Precambrian aged organism alive today? Jerry A. Coyne stated that, “species of animals and plants living today weren’t around in the past, but are descended from those that lived earlier.” Why then do we find organisms thought to have gone extinct millions of years ago still alive today? Do these “living fossils” further exacerbate the reality that evolution is unfalsifiable? When naturalists unearth fossils containing organisms with a striking resemblance to organisms alive today, a common approach to explaining away this problem is to say that some organisms are so well adapted to their environment that they did not need to change. Does this “living fossil” explanation make sense knowing that our environment is constantly changing? Another issue with this explanation is that it is a hypothesis that predicts the opposite of the main idea of evolution. Which organisms are immune to evolution and which organisms are most susceptible? Does the adding of hypotheses that are in stark contrast to the main concept of a theory causes said theory to be unsinkable, otherwise known as unfalsifiable? If evolutionary explanations include both transitional fossils and living fossils as validation of evolution, how could Darwin’s theory ever be falsified? Essentially, J. William Schopf stated that no observable evolution is evidence of evolution because evolution is a fact. Using this logic, perhaps one might explain that no observable speciation is evidence of speciation because speciation is a fact. No observable beneficial mutation is evidence of beneficial mutation because beneficial mutation is a fact. Much like Bill Nye’s explanation of “the missing nature of missing links is actually further proof of evolution,” this type of rationale one could illogically verify anything. Does this type of logic help support the possibility of evolutionary falsification? What does this finding mean for the idea of genetic drift? Genetic drift is one of the major and well accepted hypotheses of evolution which proposes that a geographically isolated population experiences speciation due to mutation and random sampling, even in an unchanging environment. Given millions, or in this case billions of years, genetic drift would have caused enormous evolutionary change. Another issue with Mr. Schopf’s logic has to do with the inverse. How might one explain observable changes in the environment, but observe evolutionary stasis? Over the eons, oceans and continents have changed in shape and size, plus the climate has drastically changed. We can observe a multitude of organisms alive today that have thrived in active and changing environments, yet have remained in stasis. Does evolutionary thought seem logical if both static and changing environments are home to organisms in evolutionary stasis? Does the science of evolution seem falsifiable if one can claim to understand evolutionary stasis in a static environment, but then also claim to understand evolutionary stasis in a changing environment? Is empirical data valued by those who claim that evolutionary stasis can exist in both changing and unchanging environments? Can Jerry A. Coyne and others in his field have their cake and eat it too? Are they scientific when stating all things support evolution, but then say that something is not true science if an observation disproving said theory cannot be made? Can we believe evolutionary biologists like Professor Schopf when they use an organism’s evolutionary stasis when in a stable and unchanged environment to support evolution, but then also believe that an organism’s evolutionary stasis in a changing and dynamic environment also supports the theory? What does the absence of falsification, by means of its “easy variability,” communicate about the scientific validity of evolution? I dive deep into this question and many others in my book, What is Evolution? Join me in this journey. If you would like a free preview of my book, sign up and I’ll email you a sample chapter! Previous PostEvolution, Creation, Theistic Evolution, or Empirical Agnosticism?Next PostWhat is an Orphan Gene? Is Christianity Unsafe for Children? Did YWAM Students Meet the Challenge? What do Atheists say about Evolution? How Did I Respond to a Lesbian Couple? What is the Best way to Stump a Christian? Does Evolution = Atheism, What do the Experts Say? What’s Your Format & Common Questions? Where else do I spend my Time, Talent, & Treasure? How was the TRUTH MATTERS interview? How was the Q90fm Radio Interview? What Do You Say to an Atheist that says there is no God? What about Adam & Eve, Noah, Giants, Cavemen, and the idea of a Flat Earth? Why are SOME Christians afraid of OUTREACH? Is there FREE WILL in Heaven? Can We Trust the Authenticity of the Bible? What stands against the knowledge of God? What are the Major Problems with Theistic Evolution? Why Did I Act Like an Atheist? How was the WDLM Moody Radio Interview? Are Biology & Theology Separate? What does Vegas tell us about evolution? Why are Evolutionists so Racist and Misogynistic? What is the EAV Bible? short film: HOW DID WE GET HERE? What are three questions that matter? What is an Orphan Gene? Evolution, Creation, Theistic Evolution, or Empirical Agnosticism? What is the best evidence for evolution? 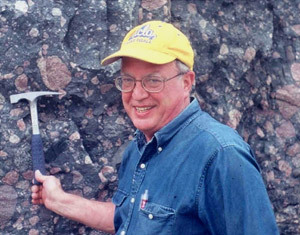 How is the Age of a Rock Determined? 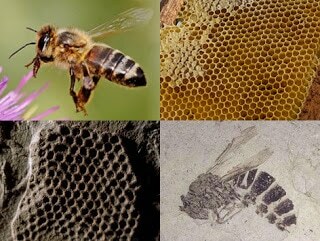 What Came First, the Honey Bee or the Honeycomb? Does evolution have a mountain of evidence? What are the chapter titles? Why Is Evolution So Difficult to Understand? Are Questions Part of Science? Did Evolution Give Us Surfing? How do kids feel about evolution? Why did I write a book about evolution?